Burnaby is a city with so much to offer, and a huge amount of rebirth happening. Whether you're looking in South Burnaby and the Metrotown area, or north Burnaby and the Brentwood/Lougheed area, both spots have great SkyTrain links, amazing shopping centres and are undergoing massive development. This means there is a whole lot of housing inventory. And if you're worried this means an urban concrete jungle, don't be. Burnaby's parks are famous and its green-space-to-residents ratio is among North America's highest. 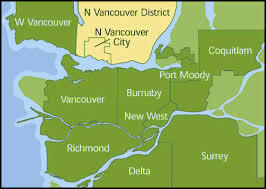 So if you're into the idea of a new home in a rising city with great links to downtown, give Burnaby a try. New Westminster is an attractive city soloing down to the lovely Fraser River waterfront and boasting great SkyTrain links to downtown Vancouver. New West is justly proud of its historic and vibrant downtown district, dating to the 1800s, which remains one of the city's main shopping districts. as well as downtown and the Quay district, there are many other neighbourhoods ranging from the affordable to the desirable. 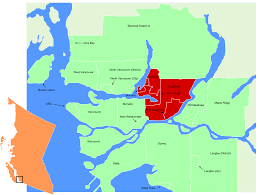 also in the mix here is Queensborough, which is over the bridge on the eastern tip of Lulu Island. Its Port Royal community offers a great array of new home options with much development going on, selling at far cheaper prices than you'll see in downtown Vancouver. 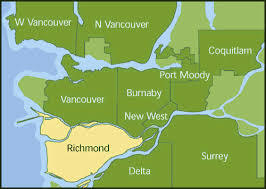 Offering a great option for affordability are Coquitlam, Port Coquitlam and Port Moody, otherwise known as the Tri-Cities. 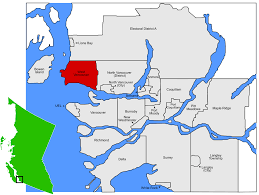 Port Moody and Coquitlam are located at the eastern point of the Burrard Inlet, with Port Coquitlam stretching further south to meet the Pitt River. Not only do each of these cities offer historic town centres, small-town charm, a great sense of community, fantastic natural beauty and stunning out-door amenities, but they are also set for great new transport links with the new Evergreen SkyTrain line.